Honda "The Endless Road" by mcgarrybowen London. The 2013 Honda ad "Illusions." Honda's 2013 ad "Illusions" by Mcgarrybowen London took Cannes Lions by storm in 2014, winning a top nod at the advertising award show. A sequel, "Endless Road," continues the visual theme of optical illusion. The 2013 ad featured a trompe-l'œil illustration that appeared three-dimensional. 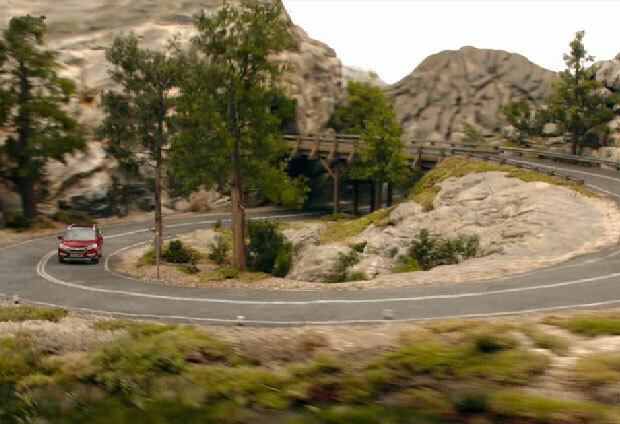 The new TV spot features Honda's CR-V driving down a road that continues like a Möbius strip. The hypnotic video loops while the song Bernard Herrmann's "Twisted Nerve" plays in the background — which cinephiles may recall from "Kill Bill" and other media. A digital version takes advantage of the medium, allowing the optical illusion to last infinitely while displaying the time and weather. A behind-the-scenes video shows the special-effects magic that brought the ad to life.